An eight-member Board of Directors governs the Conservancy, including the State Secretary for Natural Resources, (or designee); the State Director of Finance (or designee); one public member appointed by the State Senate; one public member appointed by the State Assembly; one appointed representative each from El Dorado County, Placer County, and the City of South Lake Tahoe; and one ex officio, non-voting member representing the United States Secretary of Agriculture. Mr. Crowfoot brings more than 20 years of public policy and environmental experience to the office, with expertise in water, climate and sustainability issues. 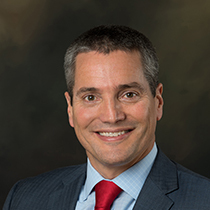 He most recently served as chief executive officer of the Water Foundation and led its transition into an independent organization early in 2017. 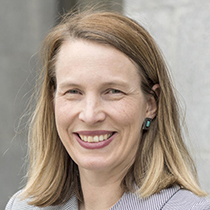 Elizabeth Williamson was appointed deputy secretary for external affairs at the California Natural Resources Agency by Governor Edmund G. Brown Jr. in December 2018. Ms. Williamson had served as deputy director of external affairs in the Office of Governor since 2015, where she served as external affairs coordinator from 2013 to 2015 and as a constituent affairs representative from 2012 to 2013. Ms. Williamson served as a constituent affairs representative in the Office of the Governor in 2010 and was an adjunct instructor of beginning microeconomics at California State University, Sacramento from 2009 to 2010. She has been a pole vault coach at California State University, Sacramento since 2012. Keely Martin Bosler was appointed as Director of the California Department of Finance by Governor Edmund G. Brown Jr. in August 2018 and reappointed by Governor Gavin Newsom in December 2018. She serves as the Governor’s chief fiscal policy advisor. Prior to her appointment, she served as Cabinet Secretary for Governor Edmund G. Brown, Jr. from 2016 to 2018. Director Bosler previously served as Chief Deputy Director for Budget at the Department of Finance from 2013 to 2016. Ms. Bosler was Staff Director for the California State Senate Budget and Fiscal Review Committee from 2010 to 2013, where she was a consultant from 2004 to 2009. She also served as Associate Director for fiscal services over the California Department of Corrections and Rehabilitation’s Budget Management Branch from 2009 to 2010. She started her career at the California Legislative Analyst’s Office, where she served as a Fiscal and Policy Analyst from 2000 to 2004. Ms. Bosler is a graduate of California State University, Chico with a bachelor’s degree in Agricultural Business. She also holds a master’s degree in Applied Economics from Cornell University. Karen Finn is the Program Budget Manager for the Resources, Environment, Energy and Capital Outlay Unit, which oversees the budgets of entities under the Resource and Environmental Protection Agencies as well as the Public Utilities Commission and the capital outlay budgets for all departments (with the exception of the Department of Transportation). Ms. Finn began working at the Department of Finance in 1989 as a Finance Budget Analyst and then a Principal Program Budget Analyst and covered a variety of assignments. She has since served as the Assistant Program Budget Manager for the Capital Outlay Unit. Prior to working at the Department of Finance, Ms. Finn spent nearly ten years working for Amdahl Corporation in Sunnyvale, California in various areas of finance and marketing. Ms. Finn earned a Bachelor of Science degree in Accounting from the University of Santa Clara. She and her husband Greg have twin daughters and one son. A Bay Area native, Lynn M. Suter was raised in Oakland, attended Oakland Public Schools and is a graduate of Bishop O’Dowd High School. She majored in Political Science at San Francisco State, with additional studies at UC Berkeley and College of the Holy Names. In Oakland, Lynn was a commercial real estate broker and a member of the Alameda County Assessment Appeals Board. She was closely involved in the complex politics of the Bay Area in the 1960s and 1970s, and was one of California’s first woman campaign managers. Ms. Suter was the founder and owner of Suter, Wallauch, Corbett and Associates, a Sacramento advocacy firm specializing in local government policy, financing, and program funding. The firm, established in 1977, pioneered women-owned advocacy business in the State Capitol, and is unique in its dedication to the myriad issues facing California cities, counties, special districts, public transit and transportation capital finance. The firm’s long-term clients included Alameda and Ventura Counties, and the City and County of San Francisco. The firm did pro bono work for the National Ski Patrol and the California Science Center, among others. Ms. Suter is a 20-year member of the California Science Center Foundation Board of Trustees and a founding member of the Queen of Hearts community foundation, as well as a member of the Board of Directors of the California Tahoe Conservancy. She is a member of the Board of Directors of the Squaw Valley Mutual Water Company, and has been involved for decades with various Sierra Nevada conservation and trail projects. She is a dedicated skier, hiker, and scuba diver. Ms. Suter’s interests include extensive travel and study of Pacific and South East Asian rainforests, their ecology and cultures, and collecting indigenous tools and artifacts from those areas. A long-time resident of Placer County, she maintains close ties to her native Bay Area. She has a grown daughter and son, and two perfect grandsons, all of whom live in the Sierra foothills. Adam Acosta is a senior advisor to Los Angeles City Councilman Jose Huizar. Mr. Acosta previously served as the Assistant Executive Director for the Los Angeles-based California American Federation of State, County, and Municipal Employees. In that role, he successfully spearheaded a number of important state bills to strengthen collective bargaining and public sector labor laws on behalf of Los Angeles County and Los Angeles Court employees. Mr. Acosta grew up in Santa Barbara and graduated from San Diego State University. Brooke Laine is a native of South Lake Tahoe. Following high school graduation, she left South Lake Tahoe to pursue her education at the University of California, Santa Cruz where she graduated with a Bachelor of Arts degree in Economics. After graduation, she moved to Sacramento where she worked as a legislative analyst for the California Commission on the Status of Women. Upon returning to her roots in 1990, Ms. Laine and husband Jose began raising their two boys. She operated a small family business for 20 years. She also worked in the banking industry for ten years. In 1997, Ms. Laine was first elected to the City of South Lake Tahoe’s City Council at the tender age of 33. She represented the City on the Conservancy’s Board in the early 2000s. She was appointed in 2012 to fulfill a vacant two-year term on the City Council and was just re-elected to the City Council in 2016. Having served over eight years as an elected official, she has served in many leadership roles and on many boards. Sue Novasel is a fourth generation Californian, born and raised in Salinas, California. She has been married to her husband Bob for over 30 years and together they raised two daughters while living in the Meyers area of Lake Tahoe. Ms. Novasel received an Associates of Arts degree from Lake Tahoe Community College and a bachelor’s degree from University of Nevada, Reno with an emphasis in finance and marketing. Ms. Novasel served as a trustee to the Lake Tahoe Unified School District for over 11 years. 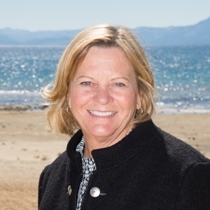 In nearly 40 years of living in the Lake Tahoe Basin, she has served as President of Soroptimist International of South Lake Tahoe, President of Lake Tahoe Wildlife Care, President of Lake Tahoe Community College’s Foundation, and as a board member of the Tahoe Chamber of Commerce. She also served as a member of the Meyers Community Plan Team, which established zoning ordinances, environmental thresholds and community design elements for the first area plan in the Tahoe Basin that was approved by the TRPA and included in the El Dorado County General Plan. She continued her work in the Meyers community by being the Chair of the Meyers Community Roundtable Committee for over 12 years. In 2008, Ms. Novasel was appointed to the City of South Lake Tahoe’s 56-acre Citizen Advisory Board, which planned the Lakeview Commons project. 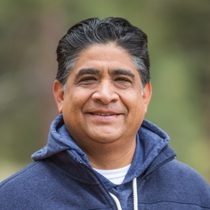 Novasel was elected to El Dorado County’s District V in 2014 and re-elected in 2018. She is currently serving a four-year term as County Supervisor. Jeff Marsolais was selected as the new Forest Supervisor for the Lake Tahoe Basin Management Unit (LTBMU) in 2015, and is responsible for managing approximately 154,000 acres of National Forest Land in the Lake Tahoe Basin. Previously, Mr. Marsolais served as the LTBMU Deputy Forest Supervisor for three years, managing numerous complex projects and initiatives. In 2014, he served as special assistant to the regional forester, providing strategic guidance and direction on hiring efforts for the Pacific Southwest Region. Mr. Marsolais began his career with the Forest Service in the mid-1990s and served on seven different National Forests in the Pacific Southwest and Intermountain regions before arriving in the Lake Tahoe Basin. He performed duties ranging from firefighter to recreation manager and held a variety of positions at both district and forest levels. During previous assignments and as Deputy Forest Supervisor, Mr. Marsolais worked closely with other agencies and local stakeholders, built motivated teams and managed collaborative efforts to capitalize on group diversity. An avid angler and outdoor enthusiast, Mr. Marsolais holds a bachelor’s degree in Natural Resources and Recreation Planning and a master’s degree in Natural Resources from Humboldt State University.